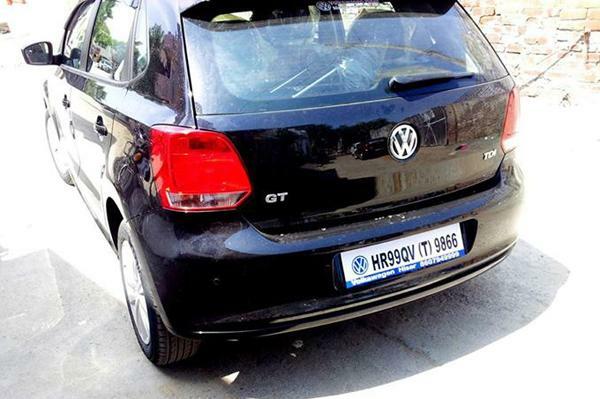 Volkswagen launched today the Polo GT TDI Diesel in India today. The new car is aimed at those people who do not want to put their money on GT TSI, thanks to the rising fuel prices. The VW Polo GT TDI is powered by a 105bhp-250 Nm, 1.6-litre, 4-cylinder oil burner, which ensues that the car would fall in the higher tax bracket. It may be noted that only the cars which measure less than 4 metres in length and have diesel engine displacing less than 1.5 litres benefit from lower excise duty of 12% (as against 24% for cars not satisfying the above parameters). Volkswagen GT TDI comes equipped with most of the features and creature comforts that are found in the GT TSI. These include sporty black seats, GT scuff plates, 15″ ‘Strada’ alloy wheels, sport pedals and rear spoiler. However the GT TDI, which gets a 5 speed manual ‘box rather than a DSG unit, misses out on ESP and hill hold assist. Volkswagen GT TDI boats of a 5-speed manual gearbox instead of a 7-speed DSG as it does with the petrol version of GT. The car returns an ARAI claimed fuel efficiency of 19.7 km per liter, the German car maker might have played around with tuning the gear ratios of the car however the mileage claimed by them is spectacular.